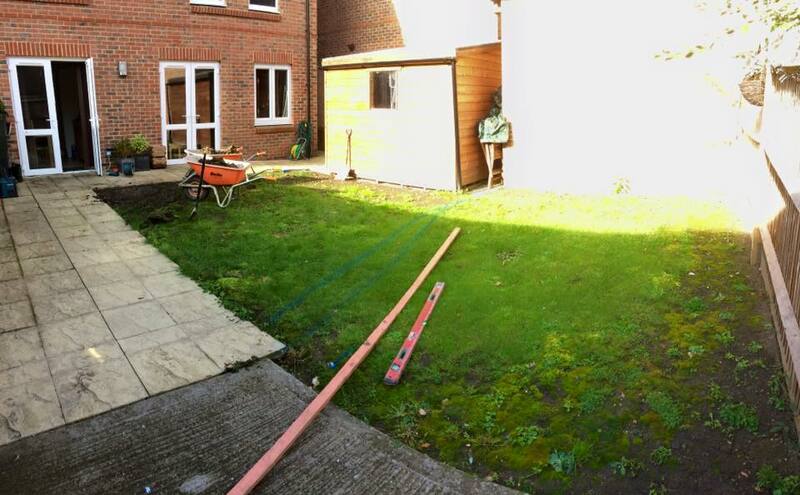 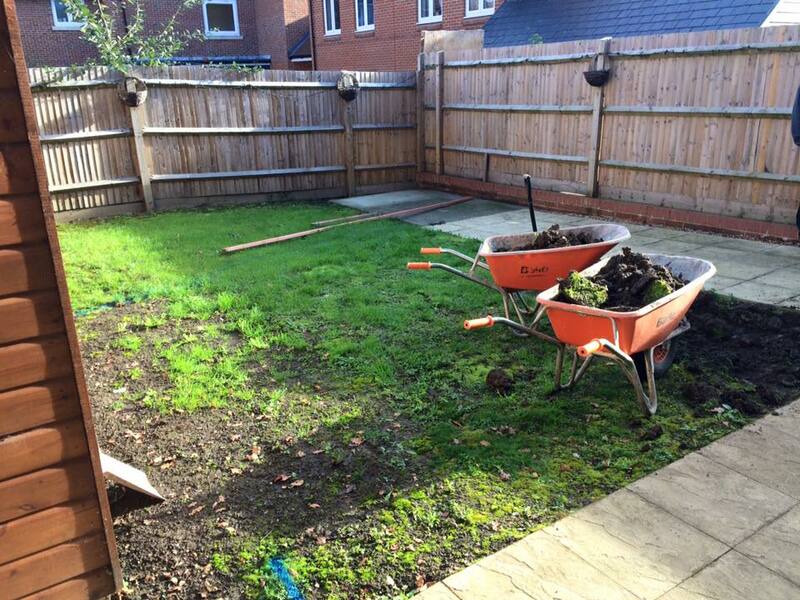 Before: The existing lawn was in very poor condition and the garden sloped down towards an old concrete shed base. 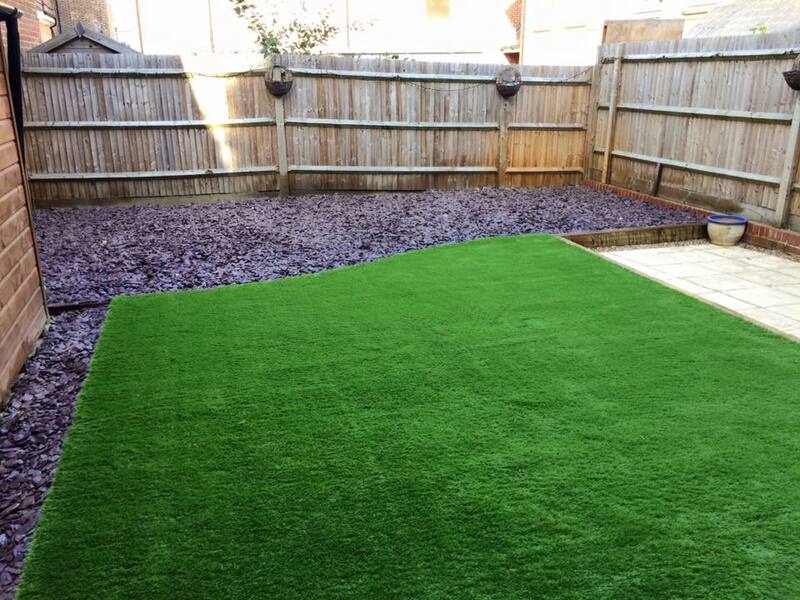 The customer wanted artificial grass and a slate area where they could place pots and seats in the future. 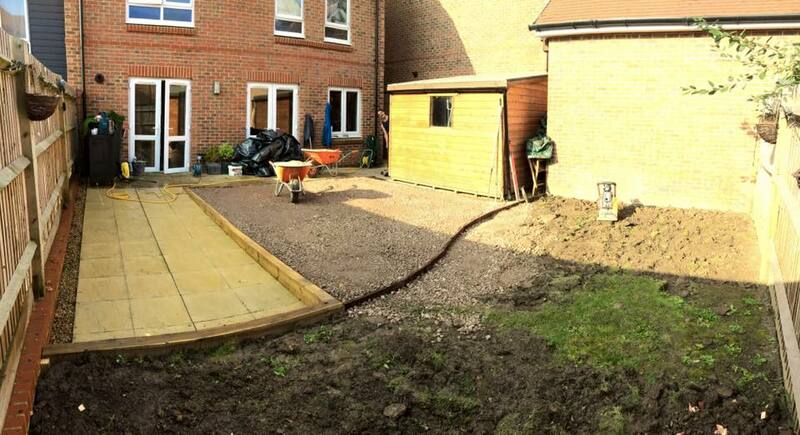 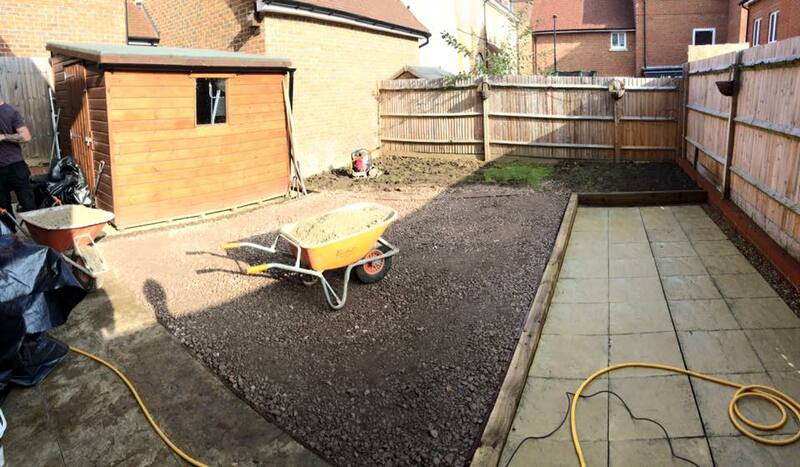 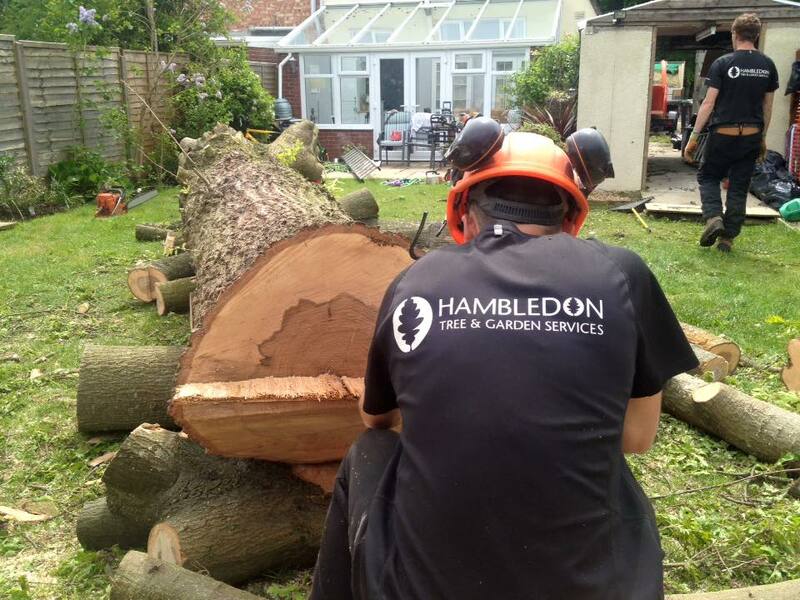 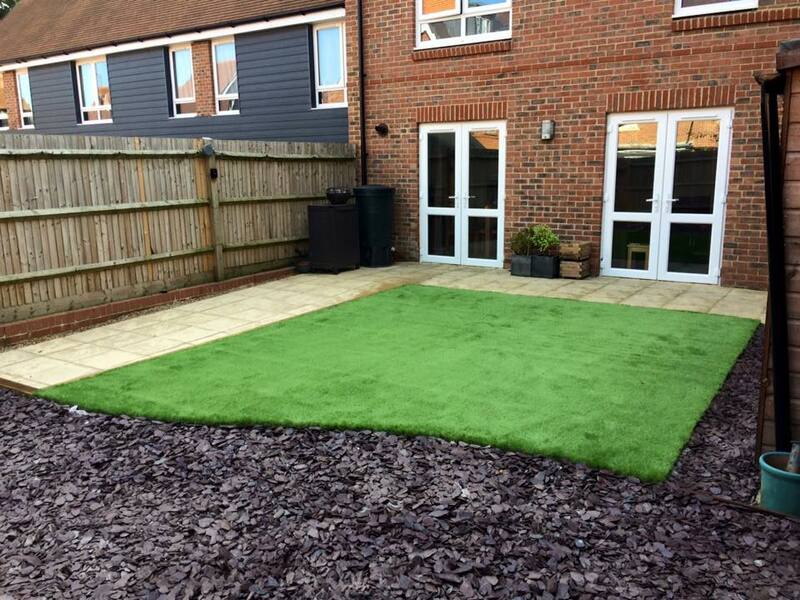 During: The new lawn was raised using sleepers to create one level between the patio, grass and slate bed. 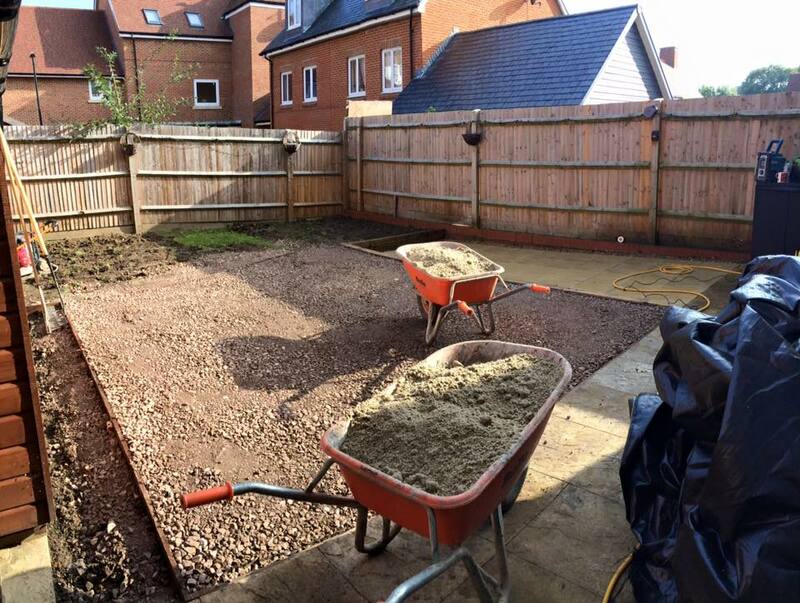 This gives the customer the opportunity to raise the sloping patio in the future so the whole garden is on the same level. 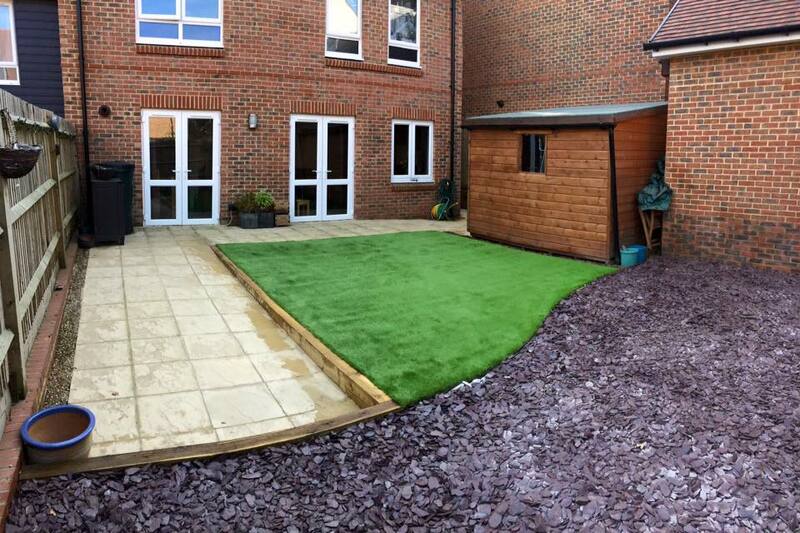 Finished: The new look low maintenance garden.